hi just been to east kirkby in united kingdom and taken these pictures sort of connected to tirpitz thought you might enjoy the change of scenery.this is the end with teeth of a real spitfire. 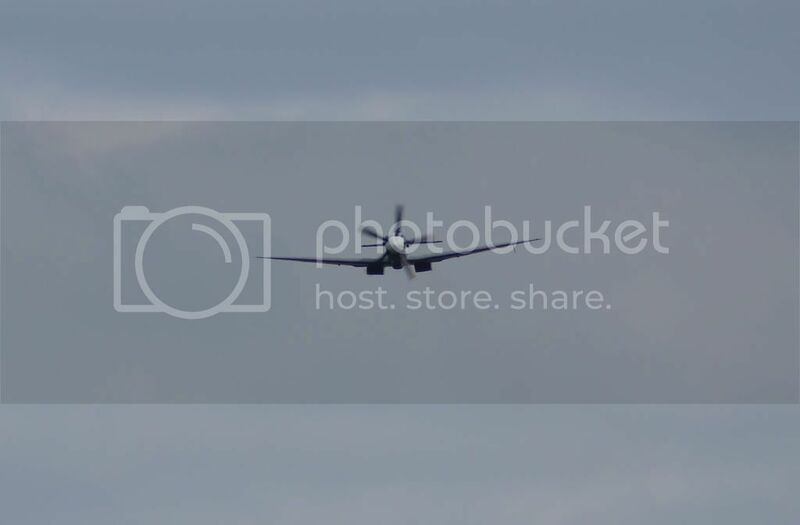 a real lancaster performing a taxy run. 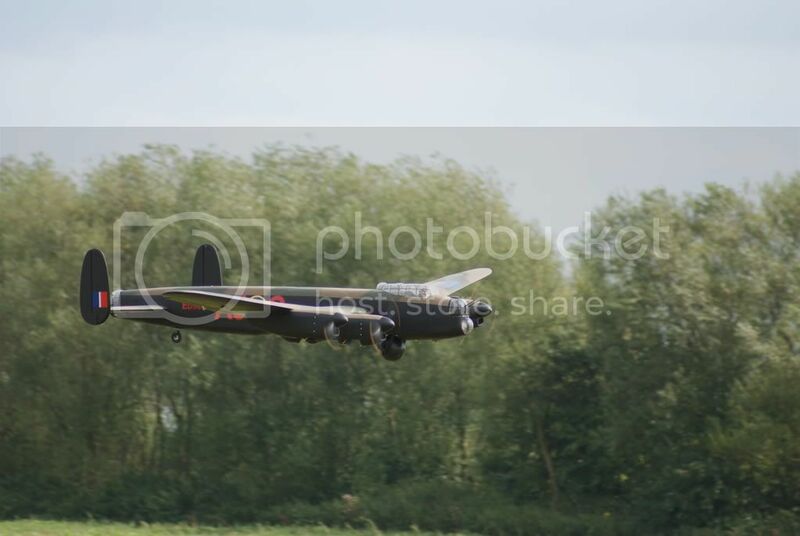 a model lanc coming in to land these look great but sound like grass strimmers . The Lanc of course proved to be a very effective and lethal weapon of WW2 - it could flatten cities far more effectively than grass strimmers cutting grass. RF wrote: The Lanc of course proved to be a very effective and lethal weapon of WW2 - it could flatten cities far more effectively than grass strimmers cutting grass. Assuming flattening cities is a moral objective of war. You cannot approach or interpret war from Moral. War is in moral, in war innocent people die, property is destroyed, you lied, you cheat, you do whatever to win. You can analyze tactics, logistics, techonology, doctrine, etc. but no moral. 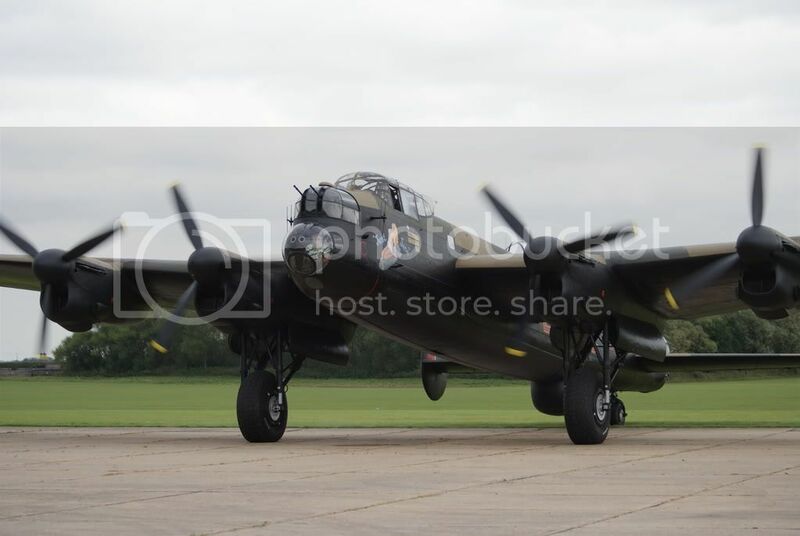 Anyway the Lancaster is a pretty good looking sight. The Spitfire has a 5 bladed prop, so must be one of the very last versions or a post war modification. They are definitely beautiful airplanes, though. Karl Heidenreich wrote: You cannot approach or interpret war from Moral. War is in moral, in war innocent people die, property is destroyed, you lied, you cheat, you do whatever to win. You can analyze tactics, logistics, techonology, doctrine, etc. but no moral. The morality conversely is in winning and ending the war. There is another view - the use of war as a means of population control, advocated by amongst others Hitler in Mein Kampf. And of course another morality is that these sort of weapons can prevent wars from starting. "We stand tall on the quarterdeck, son. 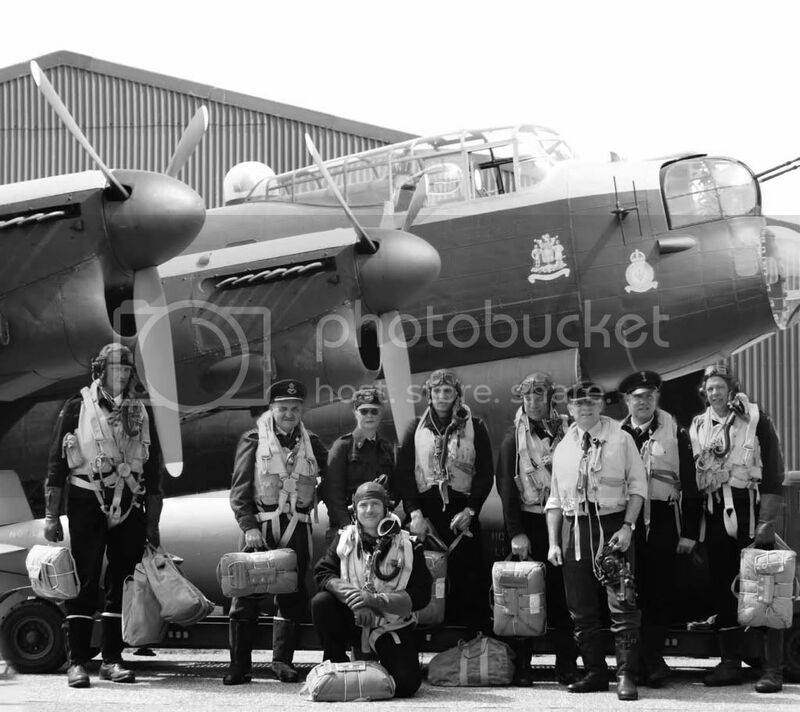 Hi all ive been back to East Kirkby with video cam taken footage of lancaster doing taxi run if you are interested follow this link http://www.youtube.com/watch?v=kT0NQgHm ... annel_page not as impressive as being there but gives you an idea,also there is a picture of some re-enactors taken at the same time the place was heaving with them gave it a real atmosphere a good day out. Anyway, did you build that model, or buy it?